Backed by our rich industrial experience in this domain we are highly engaged in offering a Granular Wall Coatings which is used to protect the walls from fungus, the offered wall finish coatings are well processed in our advance processing unit by using finest quality chemicals and leading technology according to the set market standards. Our quality controllers test these wall finish coatings on numerous quality parameters so as to deliver a flawless range. 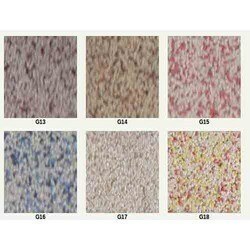 With our expertise in this domain, we are able to offer a superior quality range of Granular Wall Coatings. Our coatings enhance the beauty of walls and hide the imperfection of them. These coatings have natural color shades, which are permanent. Further, our coatings are widely acclaimed across the market for their features like dries up to hard surface, finished surface offers depth and texture and withstand & hides hairline crack. 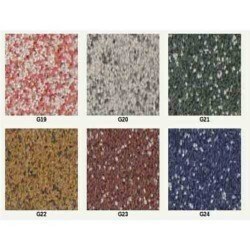 With the help of our distinguished professionals, we have been able to bring forth Fine Granular Wall Finish Coatings. These wall coatings are formulated using quality pigments and tough collectives. The offered wall coatings have the ability to cover hair line cracks, which carry normal contractions and expansions effectively. 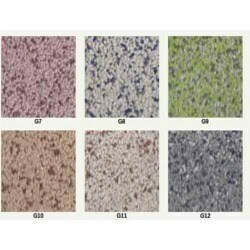 We are the prominent manufacturer and supplier of Thick Granular Wall Finish Coatings. The offered wall finish coating is perfectly processed with premium quality chemicals in adherence to market standards. This wall finish coating has natural color shades, which are permanent & acclaimed in the due to feature like market dries up to hard surface. Along with that, the offered wall finish coating is packed with high precision to assure its purity for a longer period. 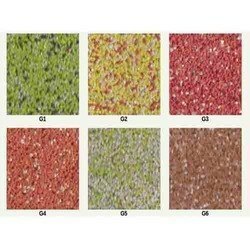 Looking for “Granular Wall Coatings”?